Seriously, thanks to all the Apple hate I see on Google+, drives me further and further away from Android. The hate makes me feel bad about Android. It's psychology I know, but that's a fact. 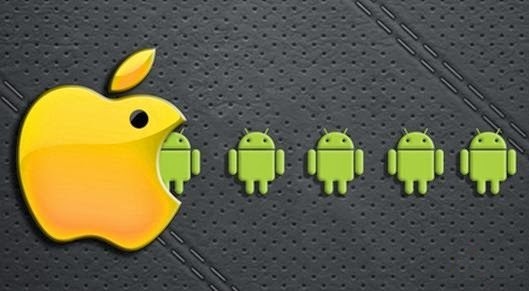 The hate I see against Apple makes me dislike Android more and more. From first being an iOS user, to switch to being and Android user and liking it a lot, to now be a pure iOS user again. Much because of the hate I see. This is nothing I just making up now, this is really how I feel. And I think the stupid hate I see on Google+ will take Google+ to the grave sooner than later. I mean, very often I get comments like “why are you posting about that icrap here on Google+, it's an Android forum?” Seriously? If that's what these Android fanatics thinks, then Google has failed big time with Google+. So from liking my Android phones a lot, and blogging a lot about it, all my Android phones only collects dust now. I could seriously just throw them away, I won't use them anymore. I feel sorry for all the Android fanboys that doesn't have anything better to do than puking their hate over my Apple posts.